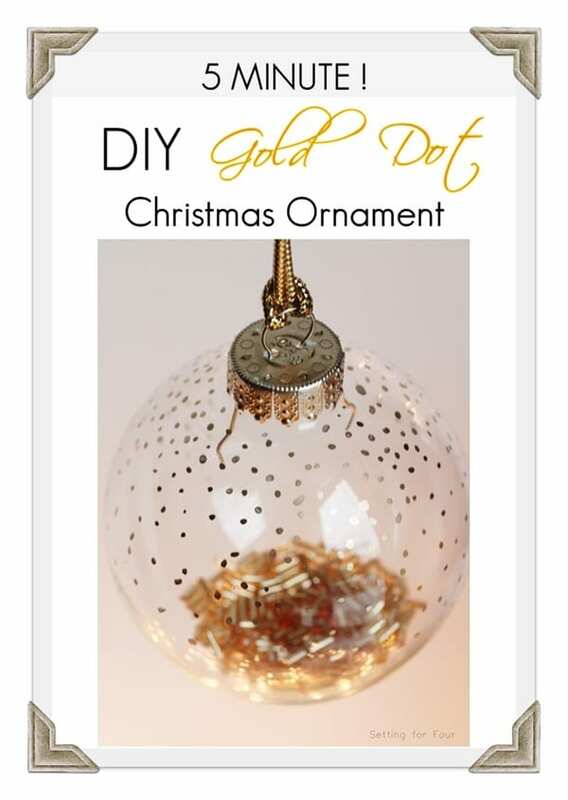 See this quick and easy 5 Minute DIY Gold Christmas Ornament! 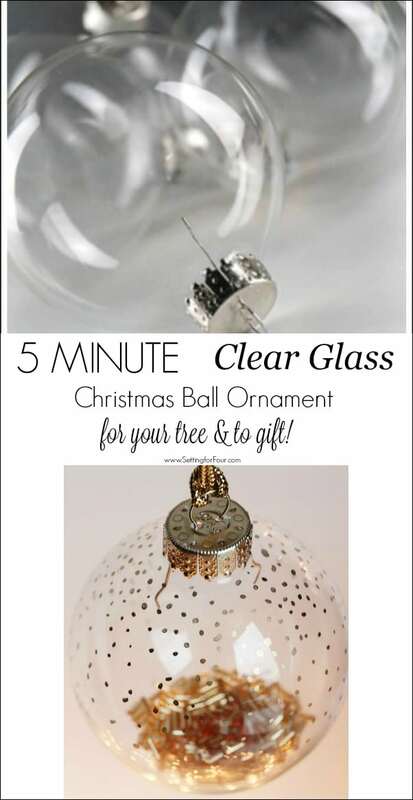 This is an easy DIY clear glass Christmas Ball Ornament filler craft that is perfect for your tree and to gift! 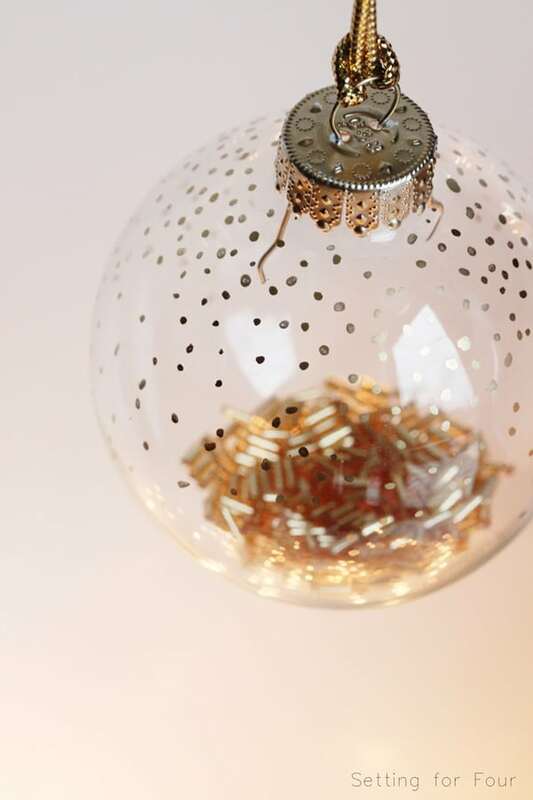 Today I’m sharing a quick DIY Christmas ornament that embraces a color trend that we are seeing everywhere right now ~ Gold! 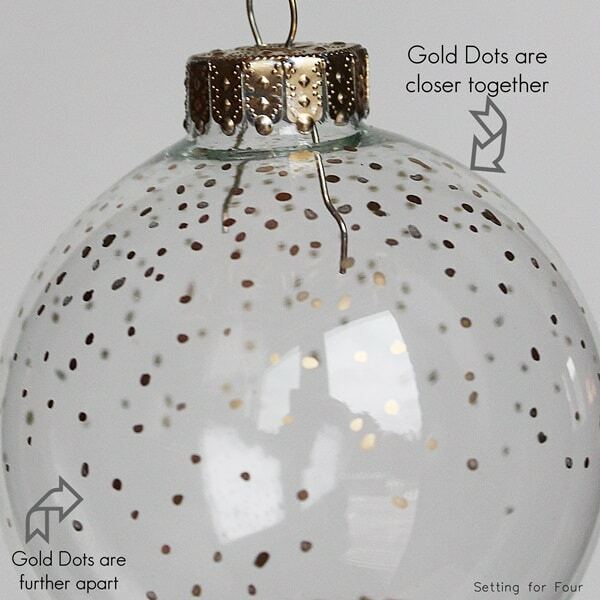 I’m crushing on all things gold right now and the Gold Dot look is such a fun on-trend pattern! 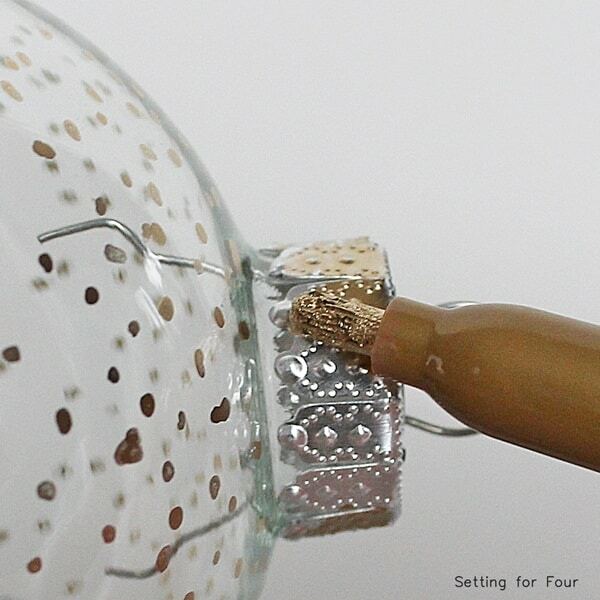 I love the shimmer of the gold dots and shine of the beads – so pretty! 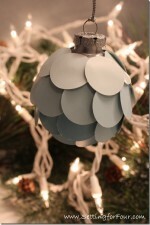 Make a bunch of these to display in a bowl or hang from your tree. 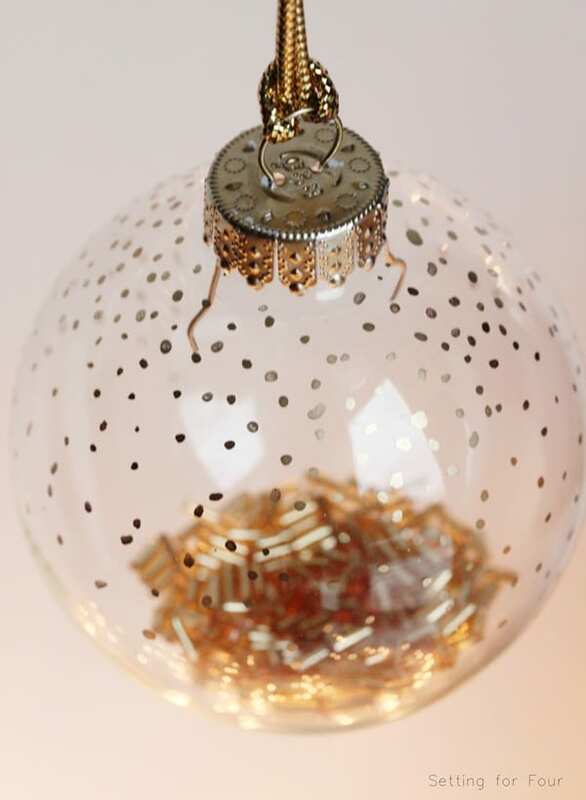 …and come take a peek at my Holiday Home Tour! 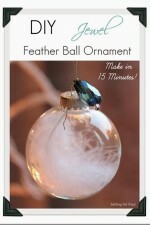 …and my DIY Jewel and Feather Ball Tutorial! 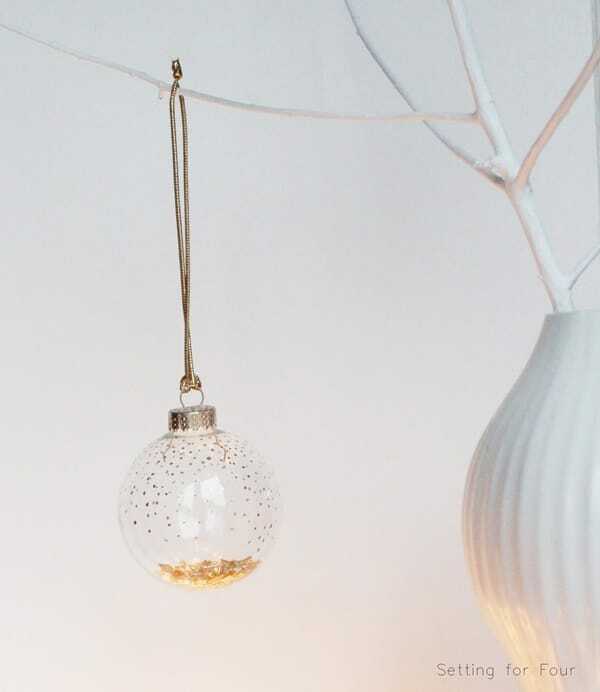 Love the simple elegance of this. 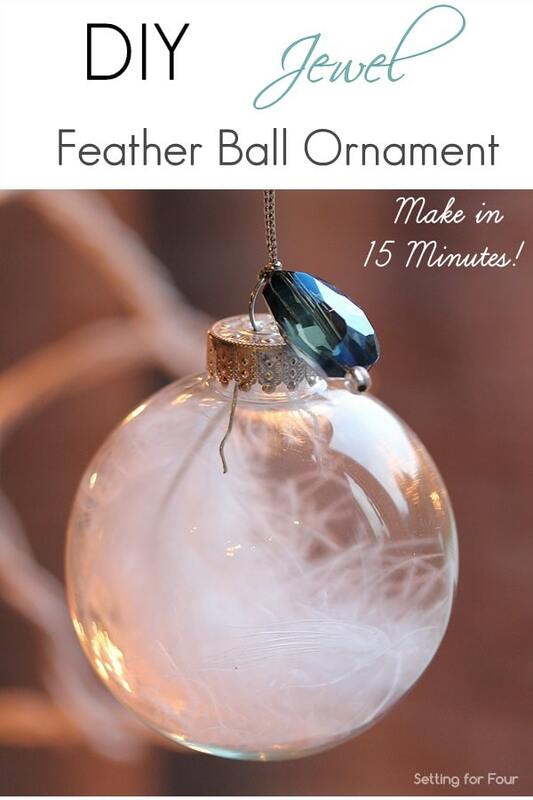 Love the feather ornament. 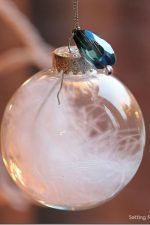 I have been buying clear plastic bulbs at Walmart and finding all kinds of ways to use them. I used red and white feathers I had on hand. 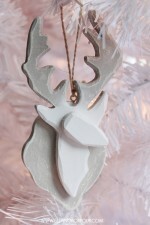 I also have black feathers that I used on my black and white Christmas tree. So simple and beautiful.